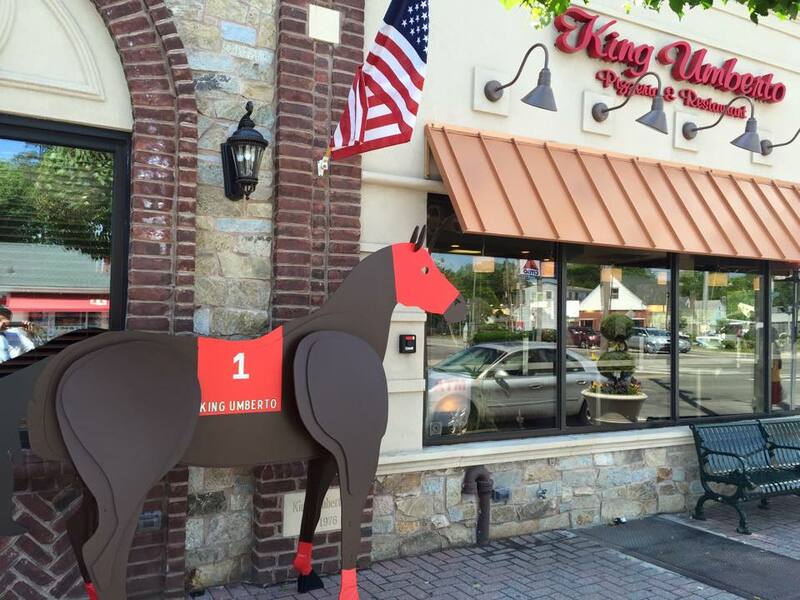 Home Racing News NYRA Bets Presents Belmont Countdown: Undercard Upsets? While most of the media attention rests on whether Justify can win the Triple Crown Saturday, there are plenty of handicappers and fans focused on the other races leading up to the Belmont Stakes. That’s because the undercard on Belmont Stakes day has become one of the best betting events of the year, given the quality of races and competition throughout the day. #7 Talk Veuve to Me (8-1): In a relatively short field of seven, Kentucky Oaks winner Monomoy Girl appears a standout, but at 4-5, there has to be someone in here to bet besides her. That would be Talk Veuve to Me (8-1 ML). The lightly raced daughter by Violence grew up big-time in her two starts this year compared to her lone 2-year-old start, mostly recently finishing second In the G2 Eight Belles on Oaks day. Conditioned by potential up-and-comer Rodolphe Brisset, trainer of Tampa Bay Derby winner Quip, Talk Veuve to You appears only slightly below the favorite in terms of speed figs. In her last, she was close to a wicked pace at seven furlongs and picks up excellent Belmont rider Jose Ortiz. Could be a slam-dunk exacta with Monomoy Girl. #3 Pocket Change (10-1), #7 Blind Ambition (5-1): Interesting collection of horses who mostly are either coming back from runs in Dubai or getting up in age. I like the two youngest horses in this race. One is Pocket Change, a 4-year-old trained by Jason Servis who is by far the most lightly raced contender in this event but who is unbeaten in three starts, the last two sprints on the turf. While this will be his first graded stakes attempt, the speed figs and fractions in previous races make him a serious contender at 10-1 for a hot trainer and Jose Ortiz takes the mount from his brother, Irad, who has one of the elders here. The other colt to watch out for is Blind Ambition, trained by Todd Pletcher and ridden by John Velazquez, a 5-1 chance by Tapit who most recently won on the Belmont turf in a seven-furlong turf event with a clear speed figure standout. Both of these look like good bets. #1 Madison’s Luna (8-1), Beautiful Shot (20-1): At 8-1, we need to consider Madison’s Luna, who was last seen finishing 22 lengths behind the bomb Funny Duck in the Pat Day Mile slop at Churchill Downs. Toss that one and the two previous races, both wins, one of them in G3 company, make this colt look live with Julien Leparoux aboard for trainer Philip Bauer. A deeper longshot prospect would be Beautiful Shot at 20-1. Trained by Keith Desormeaux, this 3-year-old Trappe Shot colt lost by less than a length in his last start to the Woody Stephens favorite Kanthaka (3-1) in their last race. The discrepancy in odds alone at a young age makes him worthy of a serious look. #1 On Leave (9-2) — If you’re seeking a key in this race, look no further than #1 On Leave, trained by Shug McGaughey. In her 16-race career, the daughter of War Front has missed the trifecta twice. She’s won seven of them, so she has no case of seconditis, and at Belmont Park, On Leave is a machine, winning four of five with a third. She’s primarily been ridden by Irad Ortiz, Jr. but she picks up Manny Franco for this one and he’s performing exceptionally well this season at Belmont. I like her as a best bet on the card at 9-2 morning line. #9 Warrior’s Cub (20-1): Despite his status as “The Coach,” D. Wayne Lukas has a pretty horrible strike rate in big races. The problem is, you never know when he’s going to strike. And he does. This one seems pretty logical at a long price in a difficult and competitive race. Warrior’s Cub lost a head last out in the sloppy G2 Churchill Downs Stakes to a horse that loves both the slop and Churchill Downs. He picks up talented rider Luis Saez and he’s been in the money 14 of 23 starts. Ignore him at 20-1 at your own peril. #2 One Go All Go (12-1): Given his recent history, it’s hard so see why this horse is double-digit odds heading into this 10-furlong affair. In his last seven races, the 6-year-old has missed the exacta twice, both of those coming in Grade 1 races and both being superfecta finishes. Given that, he’s an excellent key horse in trifectas and superfectas at the very least. The last six finishes have produced triple-digit Beyer Speed Figures, which puts him right there with the top contenders in this race. #2 Free Drop Billy (30-1): We’re on the hunt for longshots, right? At 30-1 morning line, Free Drop Billy fits the profile perfectly. With his closer running style and lack of speed, he’s unlikely to win the Belmont Stakes, but his pedigree suggests he’d like to run a long way and with the probability that several contenders in the Belmont will drop off in the stretch, Free Drop Billy (by Belmont winner Union Rags) ought to be a legit rival to pick up the late pieces and hit the tri or super at long odds. After the races conclude each evening during Belmont week, racing media, trainers, and owners pile into rental cars and make an unofficial migration down Hempstead Turnpike to King Umberto. A quick trip through the dining room Friday or Saturday will often find at least a few connections of Grade 1 hopefuls perusing the Italian menu or tucked in at the bar over a slice of pizza. The operation began in 1976 as a pizzeria operated by brothers Rosario and Sal Fuschetto and in its early days it was always packed. The Fuschettos gradually bought the adjoining two storefronts and expanded the dining room and their menu. Cesarano said Rosario was the original chef for King Umberto and began offering the pasta and other traditional Italian fare while experimenting with the recipes. “He brought his recipes from his family from when he came over from Italy. Really traditional-style cooking,” said Cesarano. Today, Cesarano and his brother John are renewing the business’s focus on pizza. Cesarano and fellow pizza maker Angelo Giangrande, hired by King Umberto in the 1980s, are credited with introducing ‘Grandma pizza’ to the Long Island food scene. Grandma pizza is square with a thin crust, baked with little cheese, crushed uncooked tomatoes, chopped garlic and olive oil, and baked in a pan – all resembling the style handed down in their family for homemade pizza. King Umberto is also home to another delightful bit of food engineering: the capellini, which is a bundle of angel hair pasta in a light cheese sauce which is breaded and fried. Rosario Fuschetto trademarked the invention, which is offered as an appetizer. Race week patrons will notice a few changes from the regular menu. 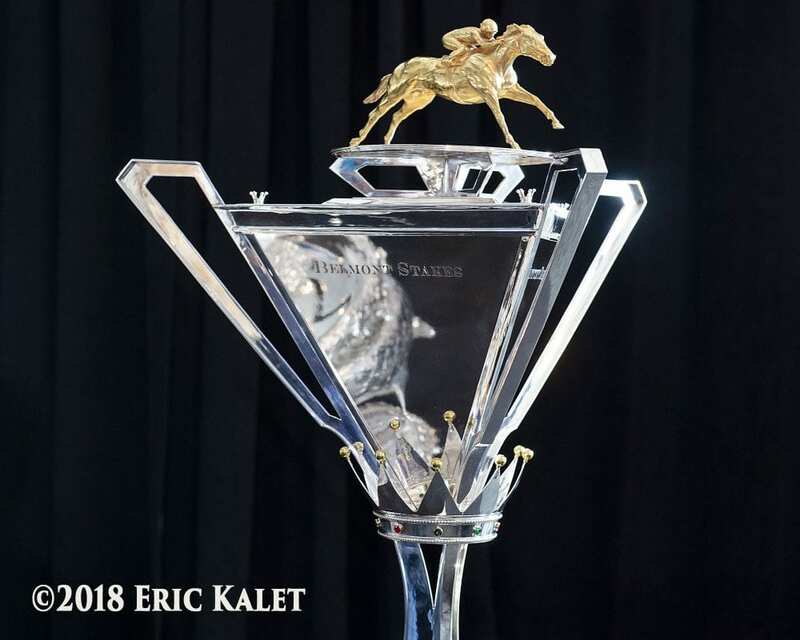 Justify’s connections have spent the past three weeks dreaming of hoisting a very special trophy after Saturday’s Belmont – the race could mark the premier of the newly-redesigned Triple Crown trophy, unveiled at the post position draw earlier in the week. The triangular vase awarded to the connections of American Pharoah after his 2015 Triple Crown was first designed in 1950 by Cartier and was created and retroactively awarded to connections of previous Triple Crown winners. Although it’s priceless to most racing fans, it seems likely the redesign probably made the previous versions of the trophy more commercially valuable, should their owners ever put them up for sale. Readers were surprised a few weeks ago when Native Dancer’s 1953 Woodlawn Vase drew $100,000 in a public sale through Doyle Auctions, but it’s hardly the first time a trophy from a Triple Crown race has gone under the hammer. In fact, one of the triangular vases has already been up for sale: Affirmed’s 1978 Triple Crown trophy was offered via Heritage Auctions earlier this year with an estimated pricetag of $250,000, although it did not sell. This was the version of the trophy presented to trainer Laz Barrera, who died in 1991, though as Forbes writer Teresa Genaro noted, it is unclear the current owner of the piece. Kentucky Derby trophies have come up for public sale five times, according to Chris Goodlett, director of curatorial and educational affairs for the Kentucky Derby Museum. War Admiral’s trophy brought part of the estate auction for owner Sam Riddle in 1951; Majestic Prince’s 1969 trophy went through Doyle auctions for $60,000 in 2005; Jet Pilot’s 1947 trophy was offered in 2009 but did not sell; 1995 Derby winner Spend a Buck’s trophy sold through Leland’s for $187,500 in 2016, and 1991 winner Strike the Gold’s trophy was sold in 2012. One Preakness trophy has been offered for sale prior to Native Dancer’s: 1970 winner Personality’s Woodlawn Vase replica brought $32,200 in 2008 via Christie’s. The Belmont Vase featured triumphantly in winner’s circle photos is a perpetual trophy not retained by the winning connections. Instead, winners receive a silver tray engraved with the names of past Belmont winners. The Belmont tray won by 1919 Triple Crown winner Sir Barton was featured on the public television show Antiques Roadshow in 2015, where experts appraised it at $15,000 to $35,000 at auction. The owner later decided to offer the tray for sale, where it brought $71,700 via Heritage Auctions. The post NYRA Bets Presents Belmont Countdown: Undercard Upsets? appeared first on Horse Racing News | Paulick Report. TCI: Will Justify Pull It Off Or Be Compromised In The Belmont?